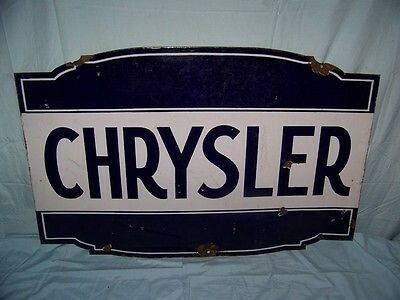 Measuring 36″ by 24″, this Chrysler sign is navy blue with a white portion running through the center of the sign. The word “Chrysler” is in the dead center ina bold navy blue text. This is a die cut sign and it has an arching top and bottom shape.